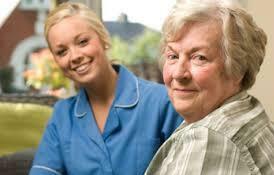 if the patient/caregiver is satisfied with the careplan and the performance of the aide. Ask open ended questions to get the patient/caregiver's true opinion. You want to avoid getting 'yes' or 'no' answers from the patient/caregiver and obtain an objective observation of what the aide is doing. It's common for the patient/caregiver to want to prevent the aide from 'getting in trouble' if s/he is not performing tasks. The patient/caregiver may feel the s/he will lose services if s/he complains. Its important to ask questions correctly to get the true nature of services being provided. The every-two-week requirement for supervisory visits for patients receiving skilled care translates into at least once every 14 days. The home health aide, per federal regulations, does not have to be present for any supervisory visit for the patient who receives skilled care. An agency must check state licensure requirements to determine whether there are any specific requirements. A therapist can supervise the aide if the patient receives therapy as the only skilled service. There are no federal restrictions on the scope of supervision by a therapist. If the aide is providing only personal care services, the therapist can still make the supervisory visits. The Conditions of Participation require a supervisory visit for patients receiving only personal care services at least once every 60 days. Only a registered nurse can make these visits and the home health aide or personal care worker must be present and providing care. Neither a licensed practical nurse nor a therapy assistant can make supervisory visits.